Our shelves are groaning with pleasure at the abundance of new ingredients that have arrived in the last week. At both The Spanish Table and Paris Grocery, a veritable flood of gastronomic specialties have arrived! We tasted, we slurped, we fell in love and generally worked our way around The Fancy Food Show in January and these latest products are the result. Add scrumptious new flavors to your meals with these culinary delights! Riz Rouge (Camargue Red Rice) – serve this nutty Provençal rice with roast game hens or pork. 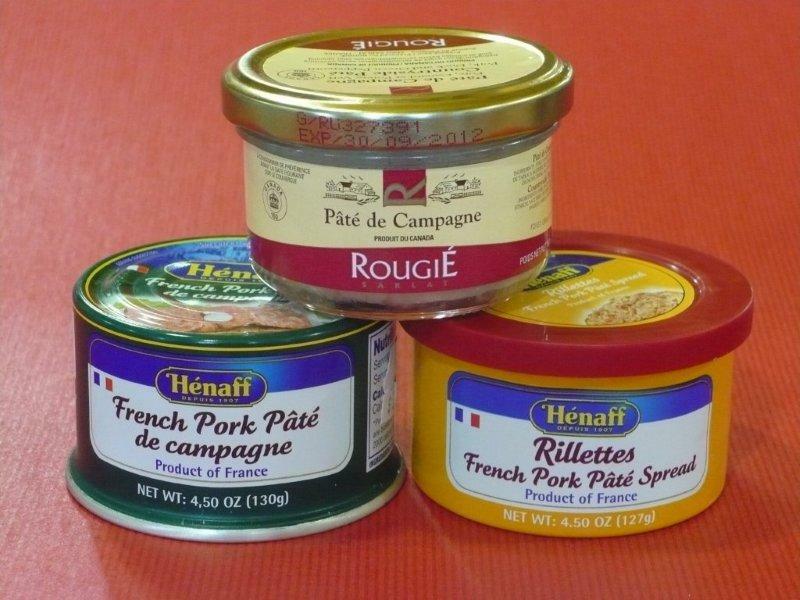 Pates and Pork Rillettes in 4.5 oz tins and 2.8 oz jars – perfect for porkaholics! Red Pepper Chutney with Esplette Chili – the Esplette gives this Chutney a kick. Provence Black Fig Jam – divine with goat cheese. Lemon Curd – spread this creamy goodness on scones or use as a tart filling. Sauce Aioli and Bernaise – great with poached eggs, wonderful with oven roasted halibut. Truffle Mayonnaise – this will really take your sandwich up a notch! E. Guittard Bittersweet Chocolate Wafers – use for baking or snacking. 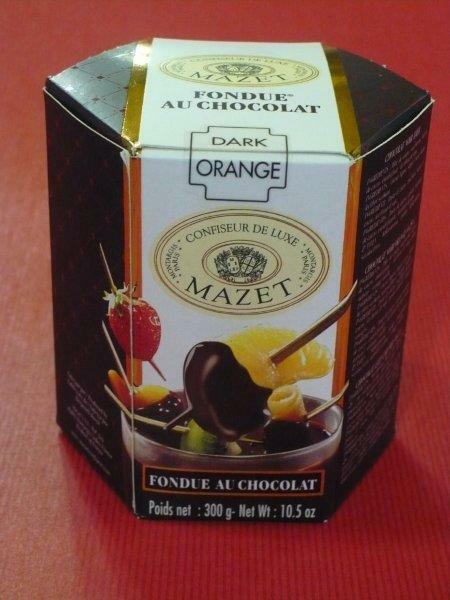 Dark Orange Chocolat Fondue: Warm for two minutes in the microwave and then start dipping strawberries, orange slices or just your fingers into this chocolate deliciousness! 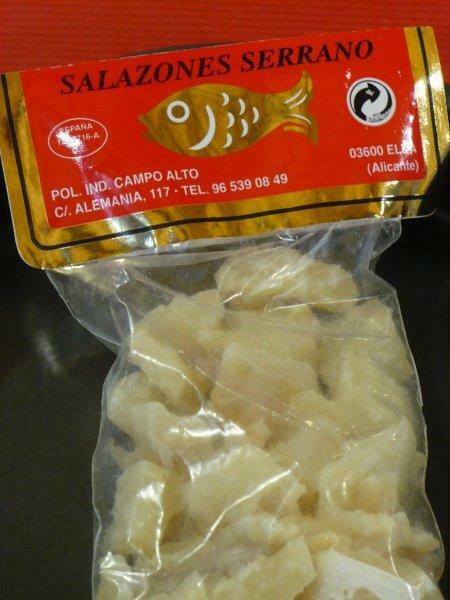 Cod Crumbs (Tacos de Bacalao): Tired of having to soak salt cod for hours on end? These cubed up pieces of bacalao take about 30 minutes. Soak, rinse and sauté in olive oil. If you’re a purest, you can have them as is. Toss them with cooked lentils and chopped piquillo pepper if you want to be fancy. Dried Mulberries: High nutritious and highly addictive. Looking for a quick breakfast idea? How about yogurt, mulberries, chopped walnuts and honey to start off your day. Tomato Jam: Everyone starts acting strange when you tell them how sweet tomato jam can be. I first tried it on salmon. All it takes is heating the jam up tossing in a little bit of chopped cilantro and topping a piece of sauteed salmon. Be adventurous and try it on a slice of toasted bread with butter. Ajvar: This savory Bulgarian pepper and eggplant sauce is packed with flavor. Simply heat and spoon over meat loaf or toss with spaghetti and chopped parsley. Picon Azul: Deliciously blue! This creamy Asturian cheese starts out strong but ends with a soft and subtle salty finish. When I tasted this cheese I couldn’t help but to want spread it on a baguette topped with grilled tenderloin and arugula for a spicy peppery note. 2007 Les Restanques de Cabassole “Roucas Toumbas ” Vacqueyras ($40.00) Between Chateauneuf-de-Pape and Gigondas lies the high and stony plain of Vacqueyras, planted with old vine Grenache and Syrah. Vinter Eric Bouletin eschews all chemicals, commercial additives and synthetic material in his 3ha vineyard and in the winery, and his passion for this terroir comes through in his wines. Roucas Toumba is pure and poetic, full of red fruit and blackcurrant, supported by silky tannins. Notes of Provence herbs and spice round out the nose and it maintains a beautiful acidity and lift. 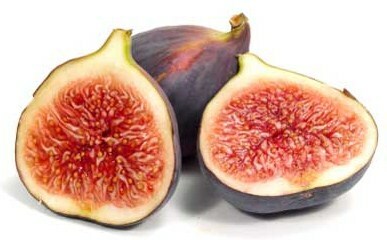 Incredible with cassoulet! Only 300 cases produced. 2008 Domaine Castera Jurançon Sec ($16.99) This dry and lively white from Southwestern France is made from two native Basque varieties- Gros Manseng (95%) and Petit Manseng (5%) and is aged on the lees. Though relatively unknown in the New World, Manseng has a storied past in France: it is rumored that the lips of King Henry the IV were rubbed with Jurançon, and Colette claimed, ” I was a girl when I met this prince; aroused, imperious, treacherous, as all great seducers are.” We certainly have been seduced by its aromatic, refreshing qualities and lovely body. Bright and tangy, with green apple, tropical fruit and limestone notes; try with scallops in a light cream sauce! 2008 Las Brisas, Rueda ($10.99) Las Brisas boasts a wonderful range of refreshing aromas, with lovely intensity. Made of 50% Verdejo, it is charmingly complemented by 30% Viura, and 20% Sauvignon Blanc. The result is a balanced and focused white with fresh aromas and notes of citrus. Clean and fresh, it has energetic acidity and a slight prickle on the palate. Excellent with ceviche! 2006 Valle Perdido Cabernet-Merlot, Neuquen Patagonia ($11.99) This suave and bold red from Patagonia, Argentina is an excellent choice to serve with burgers or steaks. Rich and earthy, it has tannic grip, brims with ripe black fruit and notes of coffee. The finish is smooth, elegant and long. An excellent value, it also makes a great sipping wine. Shop from home on The Spanish Table’s websites! The Spanish Table wine website has wines from Spain, Portugal, Madeira, or South America. Orders are shipped from our Berkeley CA store which may have different inventory and prices than our Seattle store. For products other than wine, click on The Spanish Table to purchase food, books, cookware and other products. Visit Paris Grocery’s Facebook Page for the latest news from our sister store.